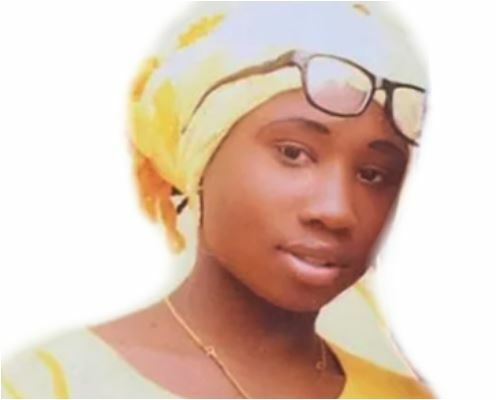 A United States, US-based Nigerian group has protested strongly against the threat to kill the lone Christian captive in the hands of Islamic militant group, Boko Haram, ’Leah Sharibu, asking the Federal Government to allow interested parties pay the ransom to secure her release. “We note the unsettling report that Boko Haram (ISWA) executed a female aid worker held captive since March 1. We were only recently alerted that the hostages were about to be executed and to escalate advocacy for their lives. “We reached out to the United Nations but the staff spoken to at UNICEF claimed not to be aware of the situation nor the fact that a UNICEF worker was captured but promised to attend to the matter. “In view of the gravity of the situation, we then reached out directly to the UN Secretary General in New York as we knew lives were in imminent danger. “Thereupon, we disclosed same in the media to put the world on notice of the precarious condition of the hostages. We got an email and a call back trying to determine details of the hostages. We were able to verify some key facts around the attacks and confirmed the UN was, indeed, aware and updated them on a few facts. We received assurances of action. “We are saddened at the unfortunate news of the horrific execution of humanitarian worker and mother of two, 25- year-old Saifura Ahmed who’s frantic messages during the attack at Rann IDP camp alerted the world to what happened that fateful night. “Our research indicates that Saifura had a distressing chat with a friend that they were under attack and had to run to the nearby military base for protection. Her last voice chat indicated the attackers eventually breached the military base where she and others were taking refuge and that she was about to be harmed. Her last message in Hausa was “oh my God they are now coming in – they are going to kill me…” “At USNLG, we take the lives of victims seriously and did everything possible to elevate this issue at the highest levels. We regret that this did not result in a favorable outcome but it was not for lack of trying. “Our condolences go to the family of Saifura, the Red Cross community, aid workers and humanitarians globally. We must remain undaunted in the face of victimization of humanitarians for good to transcend evil as it ultimately shall. “We urge the Red Cross to provide generous death benefits for the family and educational scholarships for her little children including ongoing support to the hostages’ families now. “We urge the UN Secretary General to elevate this hostage issue directly with Gen.